This is a two-piece mold for veining Grape Leaf on both sides. It works well for IVY leaves, and other leaves that need a similar texture. It be used for doing all kinds of beautiful fondant cake and sugar crafts. Made in 100% pure silicone, softness and comfortable,excellent abrasion resistance. Eco-friendly and non-toxic. Easy to clean, long lifetime. 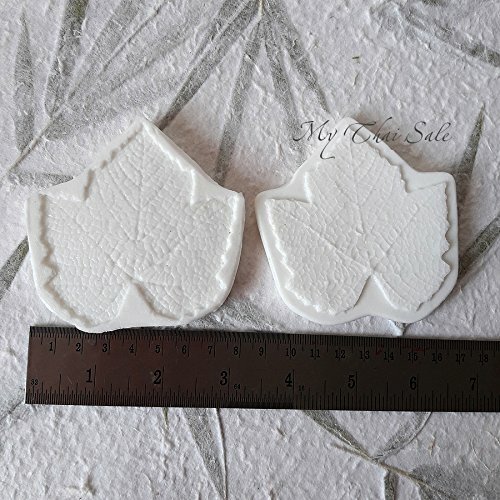 Ideal print on any material: Fondant, chocolate, clay, and so on. Shipping by air mail with tracking number for check a trip of your order. If you have any questions about this product by My Thai Flowers, contact us by completing and submitting the form below. If you are looking for a specif part number, please include it with your message.